The Engineers Without Borders-USA Rice University Student Chapter is a student-run organization dedicated to collaborating with communities in the developing world. We aim to provide community-driven sustainable and culturally appropriate engineering solutions that improve quality of life while forming strong intercultural relationships and understanding. 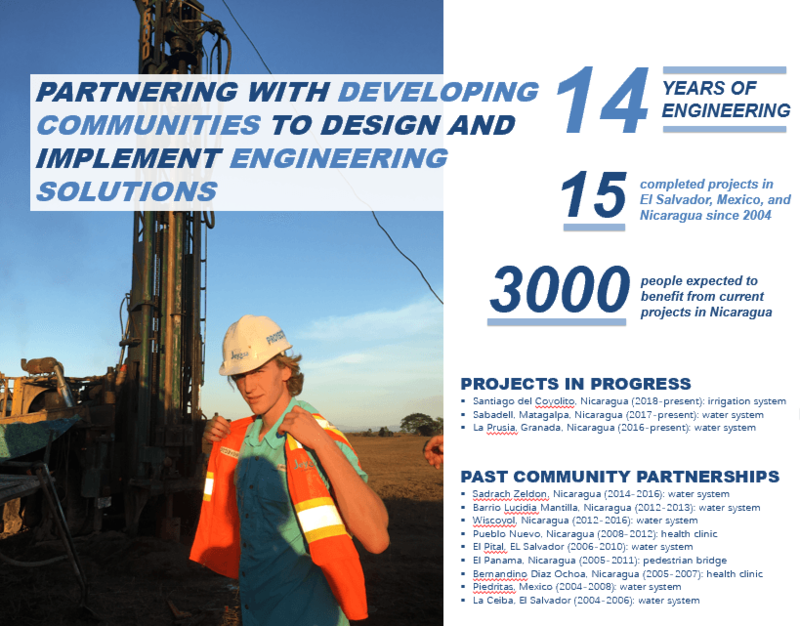 Through these projects, EWB-USA Rice encourages the development of socially and politically conscious engineers with outstanding leadership skills and practical, hands-on, engineering experience. In 2003, EWB-USA Rice was the second EWB-USA chapter to be formed after a group of Rice students worked with the University of Colorado chapter on projects in Africa. The national organization continues to expand and now is composed of more than 300 chapters. Three distinct teams currently comprise the Rice chapter; each team is currently working on related projects across Nicaragua. You can join projects at any time and do not need to be an engineer. We are currently working on expanding our emphasis on health and education and would love those interested in global health to join!